Questions first published in LA Marzulli’s October Newsletter, 2013. 1. What was the motivation behind your new book, The Final Babylon? We believe it is vital to identify the power base of the Antichrist – especially if it is America as we have concluded. We also assume that Mystery Babylon is the power base of the Antichrist – and not just another “feature” of the last days. Antichrist and Mystery Babylon are directly linked. The Woman rides the Beast (Revelation 17) until the Beast, along with the 10 kings, turns on her to devour her. At the broadest level, we believe that the Antichrist will lead a great world empire in the final days. We believe we are in those final days. It is our core assumption that the Lord will return within the next 20-25 years. We really believe His return may be within the next ten years. If our core assumption is accepted by students of Bible prophecy, then identifying the power base from which the Antichrist ascends to power would be in order. It is our responsibility to be a watchman on the wall – to be vigilant. We should expose the evil of the children of darkness. While empires in ancient times were often known by their capital city (such as Tyre, Tarshish, Babylon, or Rome), these empires were not just cities but nations or even empires. Babylon was also known as the land of the Chaldeans. It is consistent to expect the final empire to be symbolically understood. For instance, we see that Babylon and the Daughter of Babylon are interchangeably used in Isaiah and in Jeremiah. Likewise, Tyre and Tarshish also refer to the final empire characterized by its extraordinary financial prowess. These empires are referred to as cities and as lands. We believe that the “Final Babylon” is likewise a city, a nation, an empire, and we believe a “world system,” specifically, the gentile world system. The Book of Revelation (and the entire Bible) can be summarized as the war between two cities: the Holy City Jerusalem and the profane city of “Man” Babylon. This system is a system that permeates all the nations of the earth. An empire of such stature doesn’t blossom overnight. It must grow its dominance through its financial, military, and geopolitical power. Historically, its culture and its spiritual underpinnings are likewise vital to its influence upon the world. The USA dominates in every category – it has taken 237 years for the USA to come to its supreme status. Europe has not materialized as the dominant power in our times in any of those categories. Meanwhile, America has not diminished in any of those categories (relative to the rest of the world) despite the concerns we all have with its debt obligations, unemployment, and sluggish economic growth. While the US economy has slowed in respect to our “better times” – compared to other nations, we are still way in front of the pack. We are three times larger than China and 50 times larger than Saudi Arabia. Iraq continues to be torn apart by warring factions. Iran is on the brink of war with Israel and/or the United States. A united Arab confederation cannot dominate the Middle East as long as Israel exists, let alone dominate the world. If the LORD were to return in the next two decades, how would it be possible for this situation to be turned upside down? Many Evangelicals assume that the rapture of the church might be just the cataclysmic event that would trigger this radical change. However for this to be so, we must hold to a pre-tribulation rapture, a view to which many Evangelicals no longer subscribe. Additionally, this scenario makes a huge assumption about the number of Christians in America relative to the rest of the world. Is America a Christian Nation today? Even if the rapture were to occur before the final seven years of history (the 70th week of Daniel’s prophecy – Daniel 9:24-27), would the rapture cause a catastrophe localized only in America, not occurring elsewhere? We think that is not only unlikely, it is arrogant to suppose such would be the case. Then there are other very particular matters that lend support to our thesis: Most believe Daniel’s final week begins with a treaty or military contract providing for Israel’s protection. Would Israel seek a defense pact with anyone other than the United States? Isn’t it significant that on March 22nd of this year, our President traveled to Israel to reinforce the “Unbreakable Alliance” between the USA and Israel? Now assume for a moment, you were leading a small vulnerable nation, and you country was surrounded by your enemies on three sides. Which military would you want to protect you? Would it be a European military alliance (that doesn’t really exist – NATO counts on the US to survive), an Arab alliance that has been your mortal enemy for the last 65 years, and has been soundly defeated by you in every war? Or the USA that has been your military partner since the 1950s and is the most powerful military in the world? The question has only one answer and it is very obvious. 2. You make a strong case that America was founded by Deists. With this in mind how do you reconcile this position with the fact that there are church steeples on almost every corner of the land? America was founded by many religious persons: Puritans in Plymouth and Rosicrucians in Jamestown. Both sought freedom from persecution. Both sought to escape a Europe that was dominated by Catholic Priests and tyrannical Kings assuming their authority was by divine right. 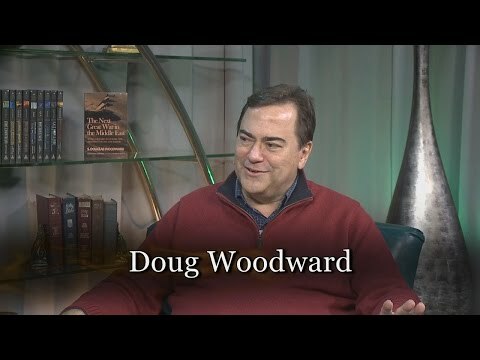 Woodward argued in Power Quest that America became a home for Christians of various shapes and sizes, but also became a haven for the occult. America’s governing documents protected both. America flourished because of its religious zeal. It has sent more missionaries into the mission field than any other nation. But while there are Churches on many street corners in every America city, there are also 56,000 Masonic Lodges across all of America. The Wheat and the Tares have grown together. The Constitution does not mandate that Christianity be our state religion. Strictly speaking, for America to be founded a Christian Nation, our governing documents would have to expressly state this. Instead, America’s Constitution provides for religious liberty. There is separation of Church and State. The First Amendment states “Congress shall make no law respecting an establishment of religion, or prohibiting the practice thereof.” Other federal laws reinforced this. This does not mean our politicians haven’t proclaimed that our Nation was made great by our religious zeal. They have so stated on many occasions. Even Woodrow Wilson, no friend to national sovereignty, made this appeal. Alexis de Tocqueville, who did a study of American Democracy in 1835, indicated that morality and religious zeal were at the core of what makes America great. But that was 178 years ago. How many Christians today argue that America is a Christian nation now? Our President is firm in his resolve that we are not now and never were a Christian nation. No doubt he argues this to reduce tension between the USA and Muslim nations. But that he argues it at this time and for this implicit reason only reinforces our point. Our leadership wishes to distance our nation from the Christian ethos that has plainly dominated our country until the last 50 years or so. 3. Explain the Masonic influence of the Founding Fathers and how this affects us today. It is argued that of the 55 signers of the Constitution, as few as 13 and as many as 50 were Freemasons. However, regardless of the actual number of Freemasons who signed our core governing document, the best known founders were all Freemasons. George Washington was certainly a strong Freemason. One of his masonic aprons was personally stitched by Madame Lafayette. He famously wore it at the founding of the Capitol Building at a Masonic ritual (setting the cornerstone of the capitol building). 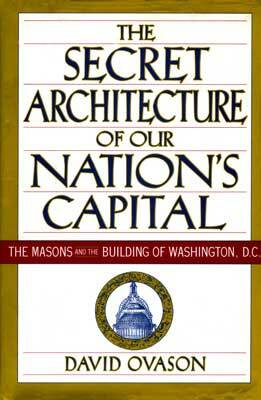 The architecture of the nation’s capital city, according to David Ovason (a freemason scholar), is a testimony to the Masonic influence on our country. Manly P. Hall, the leading historian and philosopher for Freemasonry argues the case that America was specifically founded by Freemasons to be the catalyst for creating a world government and a new world order. America was to be its launching ground. Its creation was for political AND religious reasons. Hall relates: “(Ben) Franklin spoke of the Order of the Quest (a secret society) and most of the men who worked with him in the early days of the American Revolution were also members. The plan was working out; the New Atlantis was coming into being, in accordance with the program laid down by Francis Bacon, a hundred and fifty years earlier. The Rise of American Democracy was necessary to a world program. Those mystical extrasensory perceptions viewed with suspicion by the materialist would then be developed according to the disciplines of the sciences, and all learning would be consecrated to the supreme end that men become as the gods, knowing good and evil.” (Emphasis added, The Secret Destiny of America, p.140) Lucifer didn’t say it any differently or any better in the Garden of Eden. With 56,000 Masonic lodges across America, we continue to be highly influenced by this vision of a God divested of His biblical attributes. He is the “Great Architect of the Universe” (GAOTU), but this God is not YHWH. 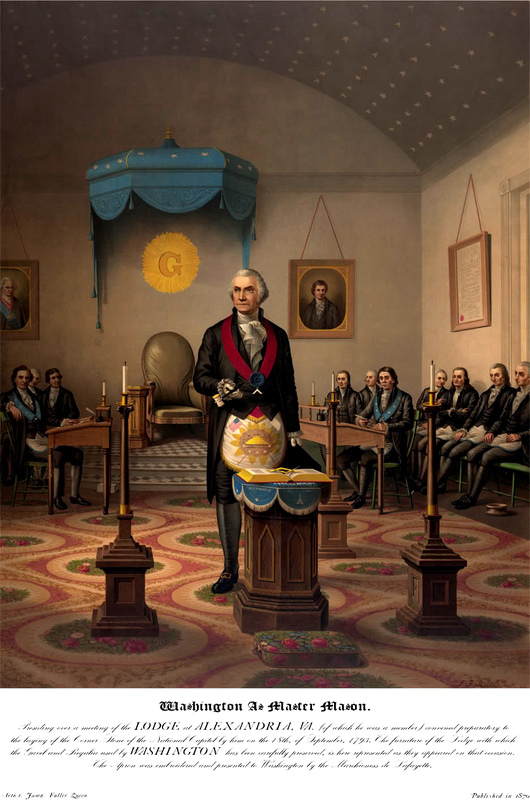 We detail many masonic sentiments of key Founders in our book, as well as taking on David Barton who argues that American Freemasonry was very different than European masonry until 1825 when European radicalism transformed America’s version. Barton argues that American Freemasons were highly partial toward Christianity. However, Barton ignores other aspects of Freemasonry, even at its inception in America, that dilute the thrust of his perspective that there was no conflict between American Freemasonry and the gospel. Barton is insistent – America’s founders were great Christians despite the abiding influence of freemasonry. 4. In my book, Politics, Prophecy and the Supernatural, and also on my BLOG, I have posited that Babylon will be rebuilt. Where am I going wrong with this position? It is one thing to argue that Babylon will be rebuilt. 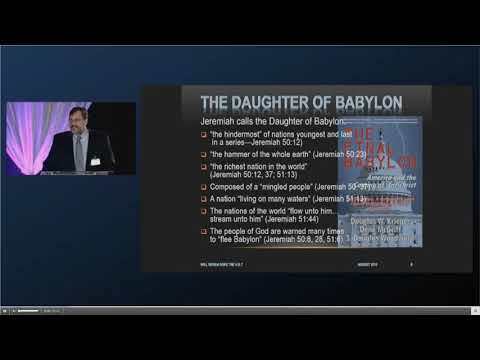 It is quite a different matter to suggest that physical Babylon located in Iraq will become the capital of Antichrist, the center of world commerce, the headquarters for the most powerful military in the world, and a city or nation that fulfills the prophecies of Mystery Babylon and the Daughter of Babylon. True: Babylon has already been rebuilt to a small degree. It may continue to grow in size and become an iconic showcase of a world system that follows Antichrist. It might also become a revered place of Antichrist worship. Nevertheless, whether true or not, it is the Temple in Jerusalem where the real action will be (see 2 Thessalonians 2:4). The Temple mount is where the Antichrist declares himself god, speaking blasphemies against Yahweh, proclaiming his divinity above all other gods, especially the Judeo-Christian God. To argue that Babylon – the land of the Chaldeans, today’s modern Iraq – remains destined to become the fulfillment of Mystery Babylon (and the realization of the Old Testament prophecies regarding the Daughter of Babylon), requires a remarkable amount of faith given the current geo-politics of the region and the world generally. Iraq is one of the most bitterly divided Islamic nations on the earth – hardly likely to ever unite and become a great power. The US presence there can only be resented by the surrounding Islamic nations, especially Syria and Iran. Is it likely that Israel would agree to make an alliance with a Muslim? A peace treaty is certainly possible and several have been penned. However, these have proven neither lasting nor ultimately trustworthy. As stated earlier, we argue that “spiritual Babylon” is not Muslim. It is apostate Christianity. It certainly includes Catholicism. No doubt the Roman Catholic Church has projected spiritual Babylon for most of its 1700 year history. But there is a strong argument that America is spiritual Babylon as well. America’s Transcendentalist movement and then its successor, the Theosophical Society, both nineteenth century creations, recast oriental Buddhism into an American creation – the New Age Movement. This pseudo-intellectual spirituality morphed into many forms, including “the gospel of toleration” which now boasts world-wide appeal. This spirituality could easily be the dogma that antichrist affirms as his own – that is, until he claims that he and he alone represents the pristine incarnation of “god consciousness” which the rest of us are but a dull facsimile. 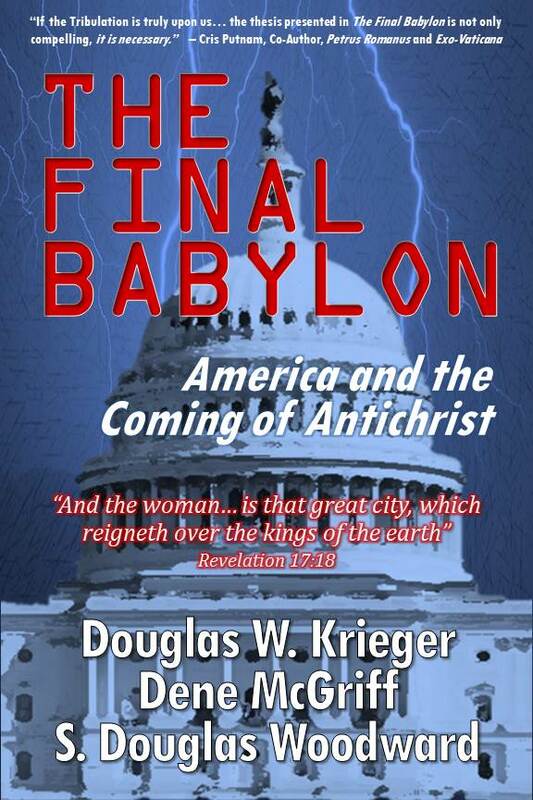 Even those that believe Antichrist will likely be Muslim, appear to argue that America remains Mystery Babylon, a “state” that must be destroyed for Islam to gain power. Advocates for the Islamic Antichrist take exception to our thesis that America is BOTH the powerbase for Antichrist and the FINAL Babylon. In effect, rather than America diminishing in power to make room for Europe, those who cite Islam as the final world religion argue frequently assert America must be destroyed to make room for Islam and its Mahdi. Lastly, it is also important to note the so-called War of Gog and Magog in Ezekiel 38 involves principal players from key Muslim nations: Persia (Iran), Libya (Put), Cush (Northern Africa), and Gomer (frequently seen as Turkey), are led by Gog who many scholars have suggested is either Russia or at least Islamic states in the south of Russia. Coupled with the common assertion this war occurs at the outset of the Tribulation period (before Antichrist declares himself to be God at the mid-point of the Tribulation), means that Islam will be thoroughly defanged if not utterly humiliated. On the heels of such a complete defeat, a Muslim Antichrist strains all manner of credulity. After the war of Gog and Magog, the Muslim world will be in shambles. 5. With the onset of the Arab Spring and the changes that occurred in the Middle East, as a model of what can happen unexpectedly, what will you say if America is brought down, through the use of, for sake of our discussion, an EMP (electro-magnetic pulse)? America’s military is spread across the entire globe. There are 11 carrier groups dispersed throughout the world as well as 80 nuclear powered submarines – 40 of which are “boomers” – carrying nuclear warheads on their inter-continental ballistic missiles. In effect, America could be attacked from sea to shining sea and still survive. Our deep underground military bunkers and bases guarantee continuation of our government. While an EMP could be used to decimate America’s power grid and throw our economy into chaos, one can’t sidestep the issue of US retaliation – and massive retribution at that. For instance, if Iran did such a thing, our nation’s populace (and more than likely our government) would demand immediate annihilation of the Iranians. The consequences of attacking America are extreme. This may happen (we believe late in the Tribulation period it will happen). Regardless, the US military will remain to be reckoned with. Therefore, the North American landmass may be contaminated such that none can live there ever again. This appears to be the prophecy of Jeremiah 50-51. Thus, in our scenario, we have allowed that the major cities of America could be destroyed. Even if they are (and for many reasons we obviously hope they are not!) America’s military would strike back. If our Commander and Chief ordered the military to stand down, chances are quite high that the military would mutiny. By so doing, it would inform the President the military establishment will not be party to laying down our arms, particularly to a rogue nation (or nations), even if it means triggering a Third World War with weapons of mass destruction. Should if our nation’s capital was destroyed, this will not intimidate America. The Antichrist may simply pitch his tent in the “beautiful land” and prepare for Armageddon (Daniel 11:42-45). We are averse to “pinning the tail on the Antichrist.” There are many reasons NOT to correlate Barak Hussein Obama with the Antichrist. Yet, there are reasons to give the notion ample consideration. At a minimum, we believe that whoever the Antichrist is, he will be overtaken by the spirit of Apollyon (aka Abaddon, the destroyer, the King of the Abyss, see Revelation 9:11). Just as with Judas Iscariot, the only other “son of perdition” whom Satan entered into at the time he betrayed Jesus (Luke 22:3), Antichrist will be the consummate example of Satanic possession (see John 17:12, 2 Thessalonians 2:3). There are other theories about the nature and origin of Antichrist – in particular there is an increasingly considered opinion that he is a hybrid, literally the seed or son of Satan. We won’t pass a firm judgment on that theory here, but we certainly acknowledge it to be a real possibility. Given the increased unpopularity of the current President, and especially given rumors of our military being on the verge of mutiny due to the confusion surrounding the current administration’s Middle East policy (particularly the indecision regarding military action in Syria), it is conceivable that an American leader will emerge that takes control of our government who is NOT a President. A military coup de état could transpire despite such a move being totally unprecedented in our history. In summary, we argue that the Antichrist will be an American leader, heading up the most powerful nation in the world. We do not argue that our current President will be this person; but we do not rule it out either. 7. A case can be made that New York is Babylon the Great. I have heard this mentioned from others like Patrick Heron for one, do you hold to this position? There are quite a number of physical attributes of Babylon that finger New York City. Historic Babylon is far from any ocean. Even Rome, the traditional “favorite” of the standard scenario, is not a seaport. This suggests Babylon refers to a completely different city, nation, or empire. Next, Babylon is a city of commerce – at the very heart of consumerism. Mystery Babylon is a commercial colossus. Given that Wall Street is the world’s financial center, does any city control what happens in the world more than New York City? “And the woman that you saw is herself the great city which dominates and controls the rulers and the leaders of the earth.” (Revelation 17:18) New York fulfills this attribute to a tee. Next, Babylon is a city of many peoples and tongues and nations. “And he said to me, “The waters that you saw, where the harlot is seated, are peoples and multitudes and nations and tongues.” (Revelation 17:15) It is no small fact that the United Nations sits prominently in New York City. We have to ask ourselves, “Are we talking about a mere city, a nation, or an empire?” The Antichrist subdues the entire world. We have to think of Babylon more broadly than one single city. Its fulfillment must be seen literally, symbolically, and allegorically. We are talking about a colossus that rules the waves, trades with the whole world by sea, dominates the world politically, economically and militarily. But just like a number of ancient empires, such as Rome, Babylon, Tyre, or Tartessos (Tarshish, the later Spanish colony of Tyre and Sidon), in the Bible ancient nations or empires are often known by its principal city. Likewise, there are many great cities in America. But New York City has no equal. 8. Do you believe the USA is both spiritual Babylon and literal Babylon? Would you explain the difference between them? As the question assumes, we believe the USA is the fulfillment of the “literal Babylon” but we chose the phrase, The Final Babylon. It has a literal fulfillment, a symbolic fulfillment, and throughout Scripture, it has an allegorical fulfillment. The Bible and the Book of Revelation are “the tales of two cities” – the Holy Jerusalem which stands against the Profane Babylon. Spiritual Babylon, as we have already stated in an earlier response, is a form of apostate Christianity. Historically, Roman Catholicism has been the embodiment of Babylon – so argued the Reformers, Luther and Calvin. Speaking from a Protestant, historical perspective, we would hardly contradict their view. However, in our day, when the Antichrist appears, he will be seen as the Mahdi, Lord Maitreya, the Anointed One, the Messiah, and/or the Christ. Assisted by the False Prophet, he will do multiple “signs and lying wonders.” (2 Thessalonians 2:9) Thus, we do not believe the Catholic Church by itself fulfills spiritual Babylon in its final form. The Catholic Church will obviously play a crucial role. The new pope, Pope Francis, has already set the stage by claiming that even atheists can go to heaven. 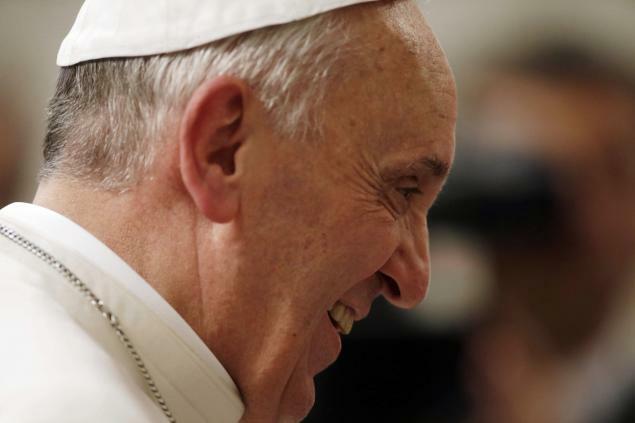 The Pope is the spiritual guide over one billion persons in our world. But spiritual Babylon comprises more than Catholicism – however widespread its effect, however pagan its religious heritage. Woodward argued in Power Quest, Book One: America’s Obsession with the Paranormal that America developed a false spirituality during the nineteenth century built upon a mixture of Freemasonry and the occult, culminating in the “new age” religion of Alice Bailey, whose Christian incarnation is “the Gospel of Toleration.” We saw this beginning with Madame Blavatsky’s Theosophy as articulated in her book, The Secret Doctrine. Blavatsky’s views may seem far out to most today. But 120 years ago, this was not the case. Her impact was enormous. Adolf Hitler and Heinrich Himmler were disciples of her skewed ideology. She expressed racism (anti-Semitism) that was featured in the Nazi agenda. But her legacy wasn’t diminished with the destruction of the Nazi regime. America continued to build upon this sordid foundation and grew her channeled wisdom into “new age thinking” – into a vital, muscular religion –amalgamating Buddhism with up-to-date science and Western individualism – devising the spirituality of our times now seen in many divergent forms. 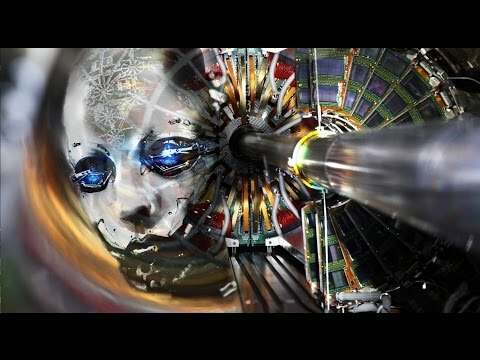 “Awakening as One” is a notable example emerging in the days leading up to 2012, supposedly the date when “the new age” would begin. 9. Jerusalem and Babylon are mentioned many times throughout scripture. How do we reconcile moving Babylon from its current location to the US? With that position in mind, wouldn’t it be fair to move Jerusalem, to let’s say Peoria, and if so, then how are we to make sense out of scripture? There may be a number of cities that the USA might offer up as a new location for Jerusalem in these here United States. Peoria, Illinois is probably not listed in the top ten. But speaking seriously, which we now are, the book The Final Babylon spends a considerable amount of space dealing with Holy Scripture. For our thesis to hold water there must be examples in the Bible of cities represented by its writers as places that they are literally not. Conversely, some cities must be mentioned in the Bible described by referencing places in which the attributes of those cities or lands are defined as predicates or characteristics of the city in question. A prime example is in the book of Revelation itself. No less than Jerusalem is called Egypt and Sodom. It is not specifically identified as Jerusalem – but the city where our Lord was crucified. We read this in Revelation 11:7-8 (NRSV), “When they (the two witnesses) have finished their testimony, the beast that comes up from the bottomless pit will make war on them and conquer them and kill them, and their dead bodies will lie in the street of the great city that is prophetically called Sodom and Egypt, where also their Lord was crucified.” John used the city of Sodom and the land of Egypt to describe in harsh terms the nature of Jerusalem at that time when Jesus was crucified and where the two witnesses will be killed. If John speaks in metaphors regarding Jerusalem, we can assume it is scriptural precedent enough for speaking of Mystery Babylon in a non-literal way as well. Moreover, this technique is hardly unique to the Book of Revelation. We argue that there are several historical cities which depict who and what Babylon is, as cited by Scripture. Tyre (and Sidon) as well as Tarshish are all symbols of Babylon. Ancient Babylon is a symbol of the Final Babylon. 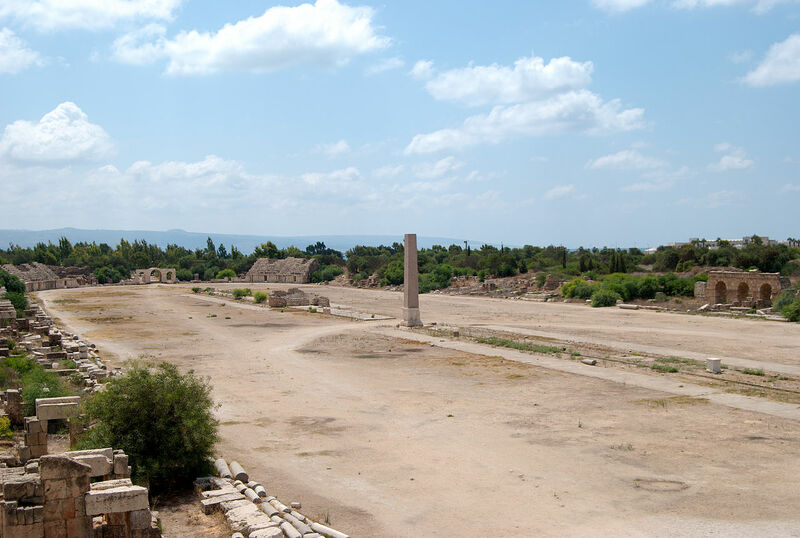 Canaan itself, the original land of Phoenicia, literally means “merchants.” Indeed, we see how in Isaiah 23, several cities are wrapped up together expressing the core characteristic of its Babylon’s trafficking, merchandising, marketing, and seagoing ways. In a similar vein, there are several “nicknames” associated with the Final Babylon: The Daughter of Babylon (Isaiah 23), Babylon (Isaiah 13), The Prince of Tyre (Ezekiel 28), The Daughter of Tyre and Daughter of Sidon (Isaiah 23). Mystery Babylon is obviously metaphorical as well. Furthermore, we make the point that the last empire will be much like the first: Phoenicia aka Tyre and Sidon (which was later expanded to Carthage, Tartessos, and even to the Americas 1,000 years before Christ). Like Phoenicia and its descendants, the Punic (purple) people, the empire would be characterized by its seafaring nature and its dominance of world commerce. 10. Your final thoughts to defend your position! 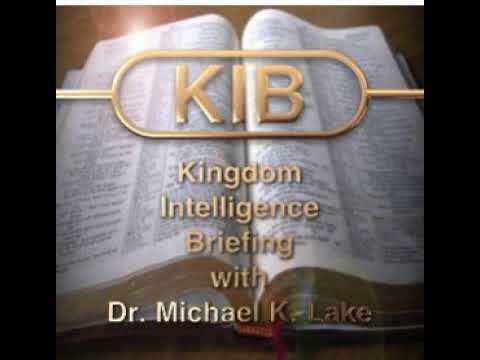 All positions down through theological (specifically eschatological) history regarding the identity of Mystery Babylon and the Antichrist are based on the geopolitics contemporary to that time. Two hundred years ago, Napoleon was proposed as the Antichrist, later Hitler, then Stalin, then Mao, not to mention the Pope, Saddam Hussein, even George W. Bush, and so on. In each era, as part of our responsibility to “watch” and be vigilant, theologians flex their interpretive muscles, seeking to know who the man of sin may be. Far from being idle or ill-advised speculation, this quest remains essential to our sacred calling – that we might prepare ourselves and our fellow sojourners for the apostasy to come. Likewise, if we are now in the very last of the last days, the ONLY position that can withstand critical scrutiny must be based on current geopolitical reality – only those nations on the current map, given the economic, political, and military condition in which we find them today. Consequently, we are required to ask, “Who qualifies as Mystery Babylon at our moment in history? If the Lord were to return today (or seven to ten years hence), who would be Mystery Babylon?” Let’s consider again the most popular possibilities. Iraq is rocked with fighting, bombings, and continual angst. There is an unending diet of violence. To speak the obvious, this turmoil is not conducive to building economic stability. And yet, the USA continues to pour money and human resources into Iraq to create a bridgehead in the Middle East, separating two of America’s (and Israel’s) belligerants (Syria and Iran). But how long will it take, even with massive infusion from America’s Corporations (which is happening at a steadily increasing pace) before Baghdad becomes a true financial power? Ten years? Twenty years? Will it ever happen? We know that Iraq’s military can’t police its own people effectively, let alone be a dominant military presence in the region. Can the US succeed in nation building in Iraq (or Afghanistan) where all others have failed? The Pope doesn’t have an army. While the Vatican Bank has enormous resources, it is still a dwarf compared to Wall Street and American Banks. At best, the Vatican is an investor. It has no natural resources – only its property, securities, and the ongoing gifts of its people. The Pope has been on the outside of real political power for almost 170 years. We don’t see that changing. Europe doesn’t project any manner of façade that they are Israel’s friend. Arguably, Europe remains anti-Semitic to its core. There simply isn’t any reasonable alternative to the United States as the Final Babylon. If the Lord tarries for 40 years, perhaps, maybe, another powerful nation could come into play. Who would it be? China? India? Iran? Russia? Each of these has resources, but they lack one or more of the key attributes of the tripartite nature of Babylon. America has been a tremendous source of doing good, promoting the gospel, providing foreign aid, and financing the great missionary movement – but it has trapped the third-world in its web of financial deceit. The USA is the commercial dominator of the third-world, the provider of food for societal immorality, the purveyor of spiritual falsehood in too many quarters, all of which we have spread around the world with carefree abandon like pollen from a Cottonwood tree. What programs are broadcast to their TVs, movies shown in their theaters, books and magazines marketed in their bookstores, or clothing in their department stores that haven’t originated in the USA or been financed by our banks? For better or worse, America is everywhere! And finally, for the past five decades we have promoted a form of Christianity that often has transformed the church into undereducated, materialistic, self-absorbed consumers and pleasure seekers who have little or no interest to engage when it comes time to testify in the streets of the great city Babylon. The church of Jesus Christ has recast its enemies into little more than a psycho-analyzed conglomerate of human weaknesses: regret, guilt, self-doubt, intolerance – rather than the biblical enemies of our souls – the world, the flesh, and the devil. Unfortunately, many Christians that are biblically attuned have grown complacent, believing that the enemy lies outside the gates; that when the going gets tough, we will be raptured just in the nick of time. Regardless of our personal view of the timing of the rapture, there is every reason to assume that the going will get tough in America well before the rapture. Given we fail to see the possibility that “we have met the enemy – and the enemy is us” (Pogo), we are constantly lulled to sleep. “American exceptionalism” remains the mantra justifying our present course of action dismissing any call to accountability for our nation’s shortcomings or excesses. In conclusion, whether we believe the USA is “the final Babylon” – at the present moment, America is the only contender for the title. We say this to our shame. It is time to awaken our sensitivities to where we fall short of God’s calling as a nation and to take action. Repentance is the order of the day – our duty amounts to far more than restoring our sense of self-confidence or acquiring wealth and prestige. It is focused on renouncing the evil that our nation has done and praying that God might restore our nation, if restoration even remains a possibility at this late hour. Indeed, the days are very short and the need could not be more urgent. As Ruth Graham once said: “If God does not judge America, He will have to apologize to Sodom and Gomorrah” – yes, her “cup of putridities” overflows, and her “sins and plagues” abound! See David Ovason’s website: http://davidovason.co.uk/books_by_ovason.html.